The continuous shine of this exquisite and sparkly diamond ring captures the entire spectrum of your passion and emotion within one eternally treasure. 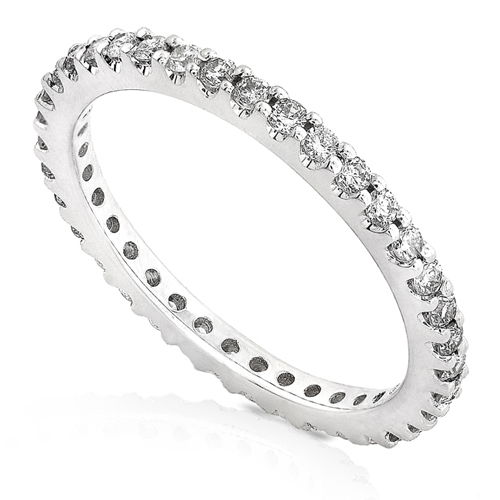 All the Roung Brilliant diamonds are well matched and secured in a 14K White Gold prong setting. Diamonds are G-H color and I1-I2 clarity.